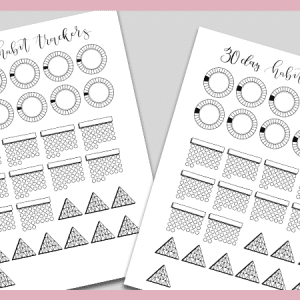 Grab this Free Printable Habit tracker in one of three colors, with space for 15 different habits and 31 days. It’s the perfect size to fit in an A5 bullet journal. 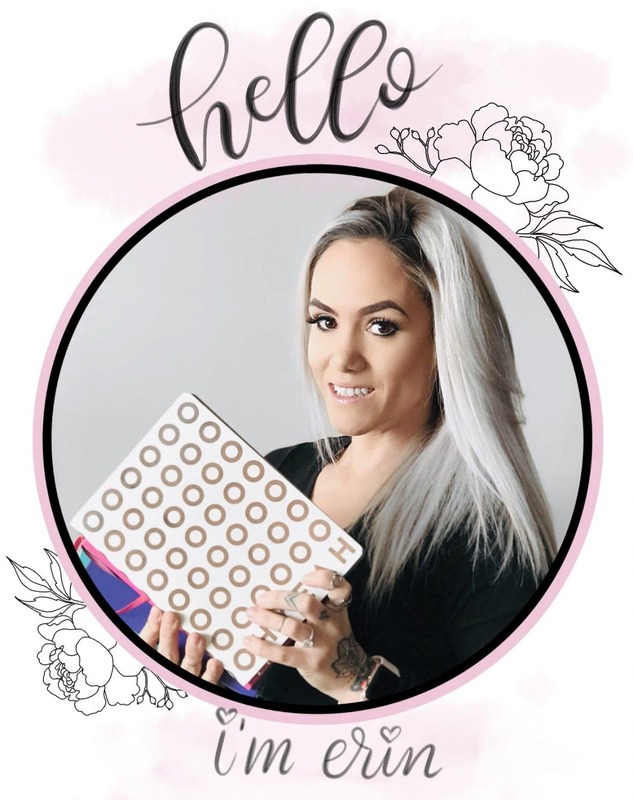 Have you set up next week’s spread yet? I just finished mine yesterday and am absolutely in love with it. After eight months of trying new weekly spreads, I’ve come to the conclusion that I definitely prefer a vertical layout over a horizontal one. But, I’m also pretty antsy and can’t see myself sticking to the same layout for long. This coming week’s spread is below. 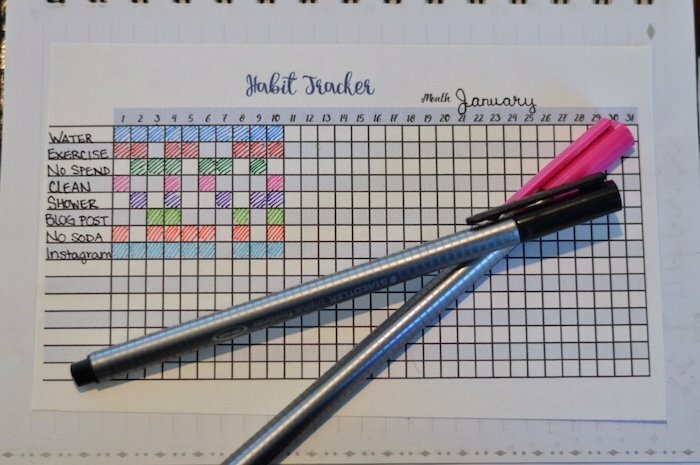 I don’t include weekly habit trackers because honestly, I don’t like drawing grid lines repeatedly. 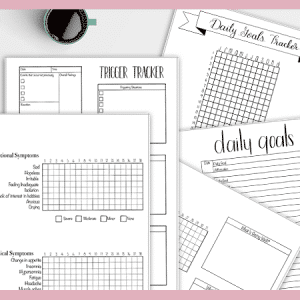 I have my monthly habit tracker on the page adjacent to my monthly spread. Not only do I get sick of drawing grid lines, I like to see my entire month worth of habits/goals at a glance to see if there are any trends as to when I was most/least productive. Anyhow, I decided to make you guys a printable habit tracker that will fit perfectly in your Medium Leuchtturm1917 or other A5 journal. 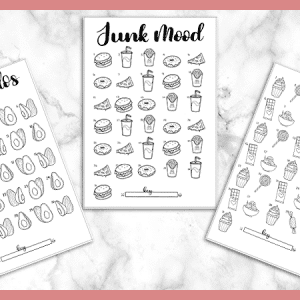 I initially made it with a pink color scheme, but I know that not everyone is as obsessed with pink as I am, so I included a gray and a purple version. 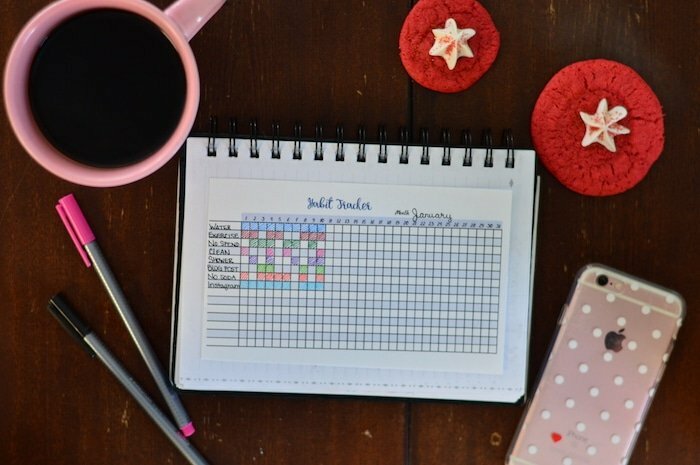 Print this habit tracker as many times as you like. 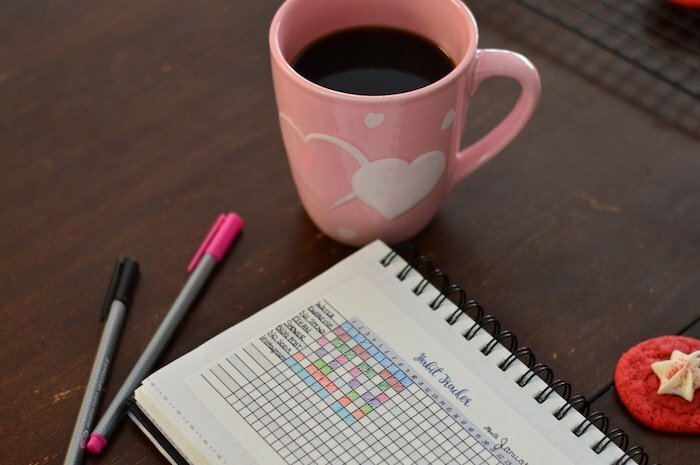 It will work for every month of the year as it has 31 days and 15 rows for habits to track. I used Staedtler Triplus Fineliners to add some color to this habit tracker.